You can find Suffragette filming locations across London, with some scenes surprisingly taking place around the notable landmarks where the real events took place – and others shot in substitute locations which are so convincing they have been mistaken for the real thing. Meryl Streep, Helena Bonham Carter, Anne-Marie Duff, Carey Mulligan and the rest of the cast and crew were spotted out and about in costume at many on the shoots, which include several stand-in Holloway prison filming locations and London streets which hardly need any adjustment to look the part. HMP Holloway, a historic prison in North London, was the setting for Suffragette prison scenes. During the early 20th Century, Holloway was a women’s only prison although by its closure in 2016 it also housed male inmates, and many suffragettes were indeed imprisoned there. Its history is tarred with the hunger strike situations depicted onscreen. But as Holloway was rebuilt in the 1970s and 1980s (and still functioning as a working prison at the time of filming, albeit in its last days), Suffragette prison scenes were filmed at several separate locations. Helena Bonham Carter and Carey Mulligan were spotted filming exterior shots at Lincoln’s Inn Gate, which doubled as Holloway’s now-demolished entrance. Look out for the gates in the scene where Maud and Edith are released after their first brush with the campaign. Camden’s Georgian locale has hosted Downton Abbey, Mr Selfridge, Harry Potter and Sherlock Holmes, and played a starring role in the short-lived wartime series The Halcyon in 2017, with the fictional hotel’s entrance located on the square. Although residents have been swept up in many a production and perhaps have mixed opinions on Hollywood’s frequent visits. It can’t be denied that it plays its part well though. The shoot was so convincing in its appearance that it was initially reported as taking place at the real HMP Holloway. Designed to imitate Pentonville, Denbighshire’s Ruthin Gaol provided another Holloway lookalike filming location. The second unit shoot took two days to film scenes in the prison’s F Block, seen as the movie takes us into the prison with the female protestors for the first time. Look out for the narrow central hall, viewed from one end of the wing, with staircases in the centre and cell doors lining each side. The award-winning Welsh former prison is open to the public during peak seasons, for a very reasonably-priced glimpse into the Victorian cells and their history. Clerkenwell House of Detention doesn’t claim any links to the suffragettes’ story but with a history stretching back to the early 17th Century, what remains of its walls hold many a bleak story. Until recently, visitors could walk through the depths of the House of Detention on tours and ghost walks, however it has now closed to the public. The House of Detention on Clerkenwell’s Sans Walk is another filmmakers’ favourite, with its cavernous basement chambers appearing in The Halcyon and St Trinian’s: The Legend of Fritton’s Gold. In Suffragette, the cells themselves are rather appropriately featured, providing the filming location for the force-feeding scenes. Ten minutes’ walk to the north of the prison, Meryl Streep’s Emmeline Pankhurst spurs the women to action from her window. Suffragette’s rally scene was filmed in Myddelton Square, a well-preserved and somewhat genteel area that couldn’t be further from the gloomy cells below Sans Walk. Central Saint Martins College of Art and Design vacated its two Camden buildings in 2013, packing up decades of creativity and moving to a new campus in King’s Cross, and filmmakers have been quick to make use of the Southampton Row campus’s Lethaby Building. Heavily influenced by Art Deco architecture from the college’s former entrance hall to the corridors and rooms beyond, its lower floors instantly set the scene for early-20th Century action. Look out for its distinctive marble columns, tiled floors and the wooden arches which span the doorways and ceilings. Tucked away between Waterloo Station and South Bank, Theed Street is part of bustling Lambeth’s pocket of charming residential terraces. The listed 1820s streets have such a carefully preserved look and feel of ‘old London’ that they have appeared in everything from cosy Call the Midwife to gangster biopic Legend, and even survived a Dalek invasion in a classic Doctor Who encounter. In one fateful moment, Maud catches an omnibus to Oxford Street to deliver a parcel. By chance, she arrives just before a group of suffragettes start smashing shop windows in the smart shopping precinct. The Suffragette filming location for Oxford Street is not found in the West End at all, but in the heart of the financial district. The City of London’s Royal Exchange and Cornhill are lined with luxury brands, bringing them spiritually closer to Bond Street. At the very beginning of the sequence, Maud crosses a road and blends into the crowd outside Louis Vuitton, whose distinctive LV logo is faintly visible on the carved stone. The shop on the opposite corner, now behind her, is high end stationer and watchmaker Montblanc. You might know it better as the scene of Bridget Jones and Mark Darcy’s reunion in Bridget Jones’s Diary, where it appears under a thick blanket of snow. The exterior of the Bethnal Green laundry where Maud works, and its steam-filled interior, were filmed in two different locations but each has an industrial past of its own. In one of the film’s first shots, we see an industrial-looking area where brick buildings are linked by overhead walkways. The can be found at Kent’s Historic Dockyard Chatham, a popular filming locations which Suffragette producer Faye Ward has called “extraordinary”, granting the Suffragette team “both the scale and period authenticity rarely found”. Fans of Call the Midwife may instantly recognise those brick walls. The show has found its home at the Dockyard, which even runs tours specifically for viewers of the period drama series, and for the duration of its run Mr Selfridge also based its location filming at the site. Its industrial buildings, once used to manufacture seafaring kit, can also be seen in Les Miserables – look out for the shot of Jean Valjean exiting his factory. Stepping inside the laundry itself, complete with mountains of washing and a leery boss, we find ourselves in Harpenden’s Highfield Oval. A disused former factory building in the grounds of a sports complex provided the space, with high windows lining its walls at a raised height. Otherwise, it provided a blank canvas for the production team to convert into an early-20th Century laundry. Originally a printing works designed to provide apprenticeships to young people from the adjacent children’s home, the century-old building has sincebeen repurposed. The suffragettes are seen discussing their next course of action in a church, leaving behind a newspaper which tips off Brendan Gleeson’s Inspector Steed about their plans. 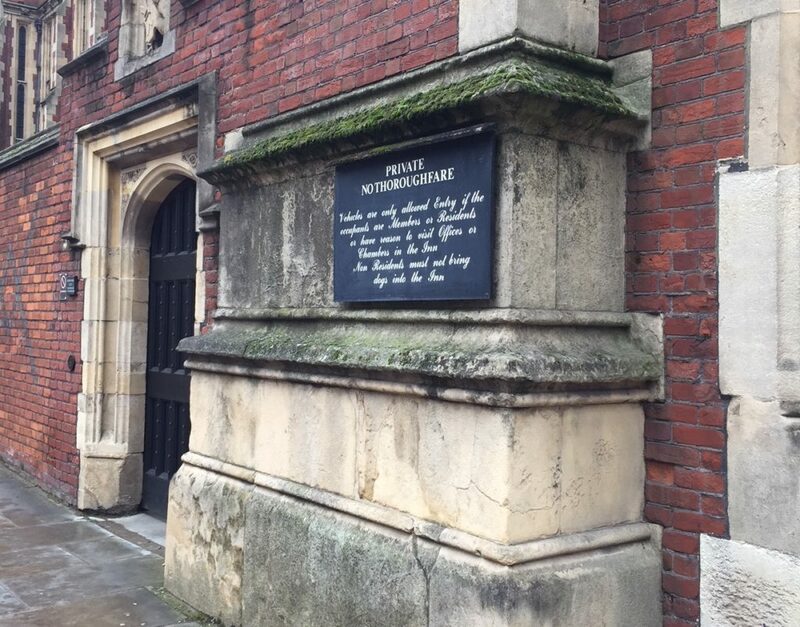 Founded by a courtier of King Henry I in the early 12th Century, Great St Bartholomew’s Church in West Smithfield lies in one of the oldest parts of London. It has been partially destroyed and subsequently rebuilt many times, resulting in its distinctive architecture. Funeral where it plays host to the fourth and final wedding. In the film’s dramatic finale, Suffragette gives us its own portrayal of Emily Wilding Davison’s final act for the Cause. The real incident took place at the Epsom Derby but the filming location was Royal Windsor Racecourse, a stone’s throw from Windsor Castle (and a filming location for The Crown, where it appeared as Balmoral Showground). The horses racing onscreen were trained for four years in advance of the production, and the racecourse completely decked out in period trimmings. filming the movie, a follow-up to political TV series The Thick of It. In both cases, filming was possible because for it fitted in with a parliamentary recess. Due to the historical weight of the Suffragette story, however, the production was given permission not just to fill the central courtyard with the stars and hoards of extras, but to film a key shots inside the building. We are brought into the lobby and to one of the committee rooms (Committee Room 12), where Carey Mulligan’s Maud presents the papers to Lloyd George. Look for the heavily patterned wallpaper and rows of pew-like benches and tables, which she passes between as she makes her case. Proceeds were put towards the Victorian building’s steep maintenance costs – the Houses of Parliament would start a years-long renovation project shortly after filming. The crew were also allowed to film the suffragettes marching along Westminster Bridge with the Houses of Parliament appearing in the shot – no special effects required.